This gorgeous crochet heart cardigan can be worn all year long. The pattern looks very complicated but it’s not and you’ll love the simplicity of it. Those popcorn stitches hearts give elegance and style to this cardigan pattern making it a great pattern for Valentine’s Day. Cardigans make great gifts, especially when they’re stylish and cozy like this one. 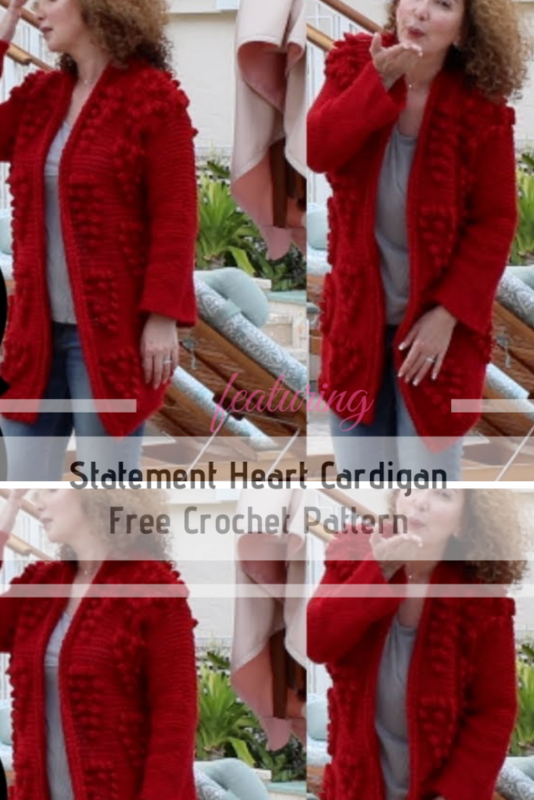 Statement Heart Cardigan designed by Annoo Crochet Designs is a beautiful sweater that everyone loves as a gift. If you’re looking for the written pattern, this will be available here IN A FEW DAYS with different sizes. Get directions and help for this pattern here: Statement Heart Cardigan Crochet. Thanks to Annoo Crochet Designs for the article inspiration and featured image.